Tree Climbing Equipment: Can it Be Used for Rock Climbing? However, just because there are similar gear between the two climbing activites does not necessarily mean that they are readily interchangeable. For starters, tree climbing equipment also includes a flipline/polestrap – this is used in tandem with the climbing rope in order to help “hug” a tree trunk or pole. This equipment will have very little utility in a rock climbing setting. Additionally, even the similar equipments may have some variations due to the natural differences between tree climbing and rock climbing. A key distinction between tree climbing and rock climbing is that the latter generally involves ascending much longer vertical distances. One of the taller trees that a tree climber must ascend, the coastal redwood, isn’t that big of a climb when compared to the heights that a serious rock climber will deal with. On the other hand, tree climbers tend to deal with more spatially complex environments because they have to deal with winding around branches. Descents are also the same, as rock climbers will more often rappel for higher drops compared to tree climbers. So rock climbers tend to favor equipment that excel at dissipating heat from a long drop. This gives tree climbers more options as they can opt for more simplicity and flexibility, as heat dissipation is not as critical. Even when it comes to ropes, there is a preference disconnect. Many rock climbers prefer ropes that are dynamic (springy), because they will usually need to climb above their tie-in point. Tree climbers on the other hand would try to minimize springiness because it would waste a lot of energy during an ascent. 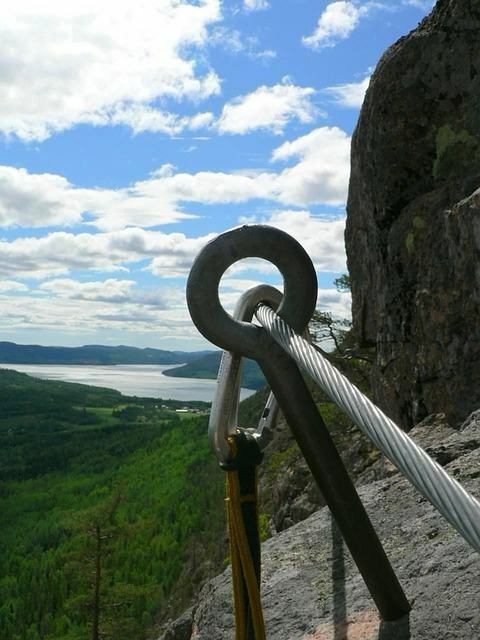 When it comes to carabiners, tree climbers tend to favor autolocking carabiners compared to what the rock climbers use, mainly because tree climbers tend to re-rig more during a climb so their carabiners will be coming on and off more often. There are a lot more differences, to the point where someone who is an expert tree climber may need a little bit more guidance when it comes to rock climbing, even though he or she has skills and muscle memory that give clear advantages. If you belong to this case, and want to spend some time rock climbing in the Joshua Tree National Park, do not hesitate to contact Uprising Adventure Guides so we can pair you with one of our fun-loving guides.